My good friend, and Radio Sausalito consulting engineer John Butler passed away recently. 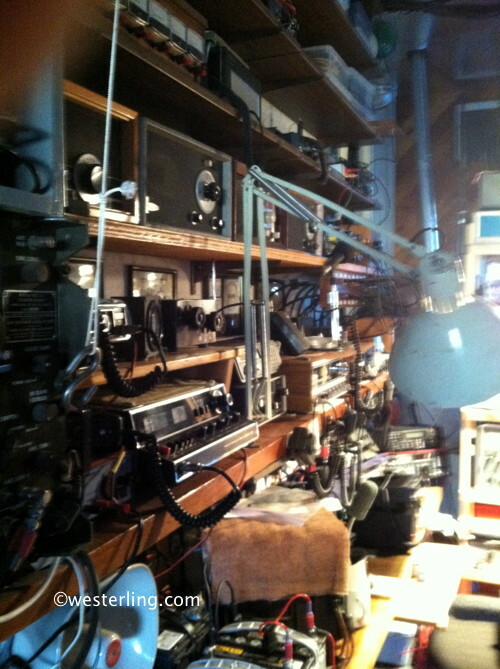 I’ll try to get some more photos of his amazing radio “shack” which, it turns out, had over 100 radios in it. All in perfect working order. I look forward to displaying the “cream of the crop” (as he called it) recievers in a radio museum. Here’s to John and all you taught me about radio waves! John was a friend, work mate, and mentor for over 30 years. He’s an irreplaceable asset to the ham radio community. He will be sorely missed. RIP my friend.